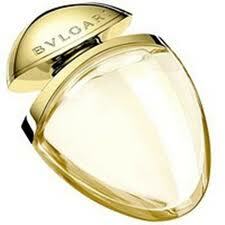 Created by Sophia Grojsman nearly twenty years ago, Bvlgari pour femme smells today surprisingly fresh and new. This feminine composition features sweet florals—rose, mimosa, and violet loom large—in a clean resinous base and does not seem dated in the least. Having recently received one of the small .8 ounce purse sprays of this creation, I am able to report that there is no obvious distinction between my “vintage” bottle and the latest iteration of this now classic perfume. Many of Grojsman's perfumes have been reformulated—to their detriment and to the disappointment of most of the people who fell in love with them at the time of their launch. Bvlgari pour femme is a rare exception to the rule. Is this because this jeweler's perfumery branch has not been sold off to one of the corporate conglomerates? Perhaps. 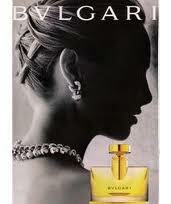 Bvlgari pour Femme edp is one of only a few perfumes which I wore in the twentieth century and still wear today. Not only has it not changed, my attitude toward it also has not. Sometimes we experience a change in tastes and decide that what we used to like or even love, we do not anymore. That certainly happened to me with a number of perfumes, including Oscar de la Renta Oscar. My attitude toward the perfume already in my possession changed—it was the same, but I became disenchanted with the scent. So in the case of Bvlgari pour Femme edp, the fact that no reformulation appears to have taken place is only one part of the equation. The reformulation of nearly everything else does however suffice to explain why most of the perfumes which I wore in the 1990s are history. I mean literally a part of my perfume history, like old friends from the past whom I have no intention of meeting up with again, even if I could, in theory, say, by joining the hunt for vintage bottles at e-bay. Not going to happen. Every bit as appropriate as it was back at the time of its launch, Bvlgari pour Femme edp is a sweet violet-rose composition similar in some ways to both L'Artisan Parfumeur Drôle de Rose and Miller Harris Coeur de Fleur. They are all united by their violet-tinged, water-washed rose. The big distinction made by the Bvlgari violet rose is that there is a substantial clean musky base which imparts a decidedly perfumey quality to the composition as a whole. It smells somewhat resinous to me, and in addition to making Bvlgari pour Femme seem more like an elixir than a watery sweet floral, it also adds a kind of golden shimmer. Mimosa contributes to this effect, as well. More formal than both Drôle de Rose and Coeur de Fleur, Bvlgari pour Femme is also very distinct from Frédéric Malle Lipstick Rose, yet another fine violet-rose creation. The Bvlgari perfume, apparently the first in its olfactory neighborhood—and another iconic idea generated by the great Grojsman—strikes a balance between formality and informality. Wearing this perfume is like getting all dressed up in satin pajamas to spend the night at home. What a baffling composition. I am told that some twenty-odd notes are present. Of course, we all know that notes are mere metaphors, but in the extremely bizarre case of Bvlgari pour Homme, the metaphors clash head-on with my experience. Aldehydes? Certainly not. Bergamot, well, okay, yes, I suppose, since it is present in 33% of all perfumes. Maybe I can conceive of this as a tea scent. But the rest? They may as well say that this perfume contains unicorns and elves, since I smell them just about as well! None of this is to say that there is anything essentially wrong with Bvlgari pour Homme. It's nice. It's light. It's polite. It's clean and keen. It's the perfect scent for the twenty-first-century open-cubicle office. Indeed: it smells to me rather like just pressed and starched long-sleeved cotton shirts complete with linked cuffs and button-down collars! During most of my wearings of this perfume, my experience remained consistently the same. I simply do not detect the vast majority of notes listed in the hierarchy. One reviewer maintains that this is a big iso-E-super composition, so perhaps it is wiping out all of the other notes. To me, this does not have the same effect as Encre Noire, Terre d'Hermès and the other iso-E-super bombs I've encountered, which I identify immediately by their sinus-clearing capacity. But maybe that is the best explanation for my inability to detect much of anything beyond a freshly pressed and starched cotton shirt in this composition. Certainly the longevity is excellent, which suggests significant aromachemical presence. I should add a small caveat: during one of my four wearings of this fragrance, the muskiness came through much more strongly than on the other occasions. It occurred to me that this composition would not smell good on someone with an acrid skin—or while exercising. Bvlgari pour Femme ou pour Homme? No surprise, given my long-term relationship with Bvlgari pour Femme, HERS gets my vote today. 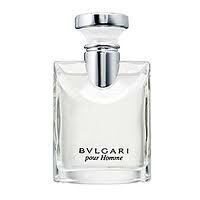 I would love to hear from the guys out there about what I take to be the MIA notes in Bvlgari pour Homme. Also: has it been reformulated? Does anyone know? Eighteen years seems like a long time, and if this fragrance for men were produced by nearly any other house, I'd have guessed yes. 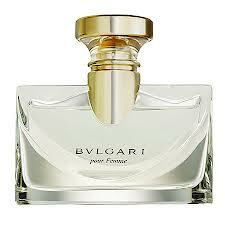 But apparently Bvlgari pour Femme has not been reformulated, so perhaps pour Homme, too, has remained the same? I'll close by clarifying that I consider Bvlgari pour Femme to be a feminine, not a unisex perfume. 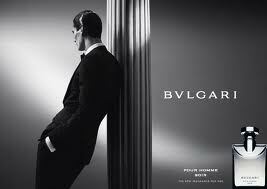 In contrast, Bvlgari pour Homme strikes me as completely unisex, but I happen to like it less. In a lifeboat scenario where only one bottle was allowed for everyone on board, I'd be willing to forego the feminine version in order to avoid mutiny, but barring that sort of unlikely situation, I'd choose Bvlgari pour Femme for myself.